End the day at Vatican Museums with an exclusive 4 hours dinner and tour. Enjoy this unique tour! 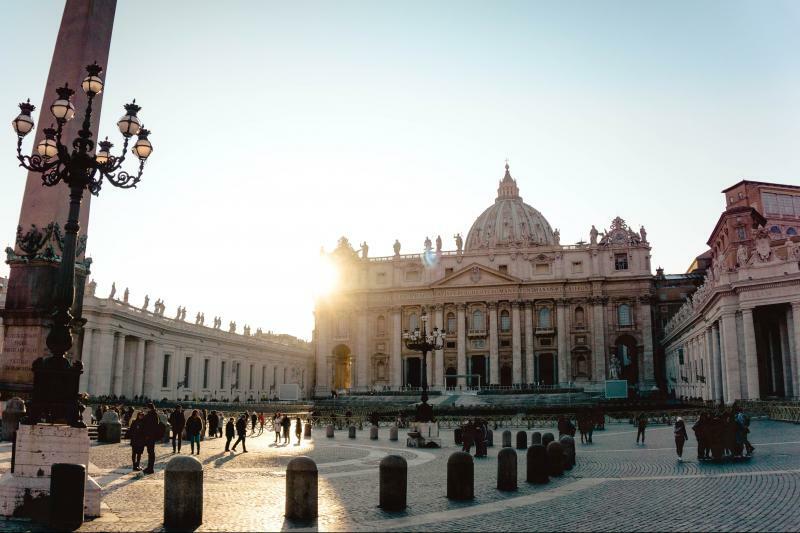 We are the only tour operator offering this experience combining a delicious dinner at the restaurant Le Carrozze and visit the Vatican Museums. This tour is only available on limited dates! Meet your assistant in the Vatican area and discover the masterpieces of Rome. Your friendly and professional assistant will lead you to the Vatican Museum restaurant where you will have a delicious dinner accompanied by a glass of wine. This dinner inside the Vatican Museums is an exclusive privilege we are eager to offer our most valued clients. After your delicious dinner, you will meet your friendly and expert tour guides that will lead you to discover the splendid Galleries, Raphael’s Rooms, the Sistine Chapel, and the Library. This once in a lifetime opportunity is really worth the price!